Relax. Sit back. & Enjoy the ride. Thinking about making a big impression upon arrival to your wedding or special event? 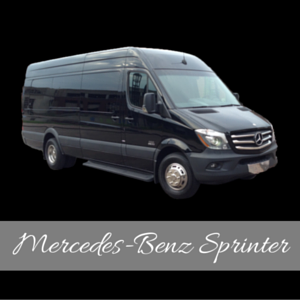 Need a way for a special client to be picked up from the airport and chauffeured to a hotel or the club? Don't stress over how you'll get there--we've got you covered! Sun - Sat. $150.00 per hour including Gratuity. Must book a minimum of 3 hours. One Way: $200.00 including Gratuity. *Pricing : Sun - Thu. $82.80 per hour gratuity included. Fri & Sat. $94.80 per hour gratuity included. One Way: $124.20 gratuity included. **A Note About Our Rates: All Hourly Rates are with a 3 hour Minimum. **One Way Transportation is noted as transportation from point A to point B with no stops in between. If stops are necessary additional charges would be incurred. 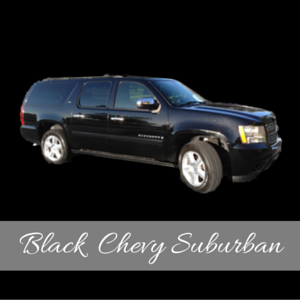 *Airport Service in Black Suburban (max time 1 hour). Starting at $69.00 plus gratuity.